We have featured cheese cakes here a few times in the past and every time I see one of these unique creations I just have to wonder – what genius thought of this? Whoever he is, he should get get an award for wedding cake brilliance. 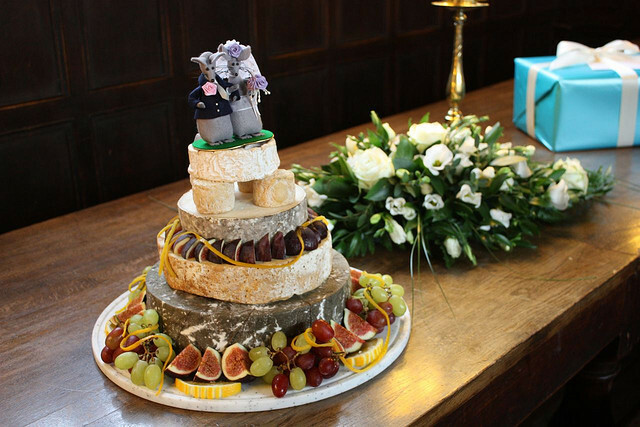 This cake is five tiers of cheese wheels and the different colored rinds make it rustic and gorgeous. I also love the addition of figs, grapes, and lemon peel – they add just enough color pops to make it pretty.